In 2015-16, SFA Folklorist-in-Residence Nicholas Hartmann carried out an ethnographic study of the Nogales Produce Industry. The research was supported by the Archie Green Fellowship of the American Folklife Center at the Library of Congress. A monograph of his research is now available online. This is an excerpt. Amidst the dramatic backdrop of Southern Arizona’s big skies, mesquite bosques, and saguaro cacti, lies an industry of major cultural, historical, and nutritional significance. Its warehouses line the southern stretch of Interstate 19, a highway that connects the town of Nogales, Arizona at the international border with Sonora, Mexico to Tucson. Names like SunFed, Farmer’s Best, Omega Produce, and Ciruli Brothers proclaim these family businesses, which reach north to the small town of Amado, where tomato glasshouses gleam from the roadside. 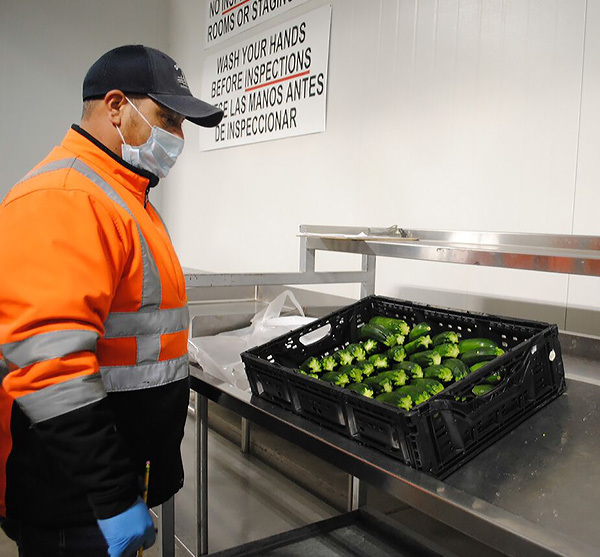 According to the U.S. Department of Transportation, in 2017, 333,941 trucks crossed the border in Nogales, hauling over $2.5 billion worth of fresh fruits and vegetables, making it one of the top three ports of entry. The produce comes mostly from the northwestern states of Sonora and Sinaloa. Some of that produce will have a short American journey, traveling just 33 kilometers north to a grocery store in Tucson. But most of it ends up beyond Arizona—in California and even across the Canadian border in Vancouver. 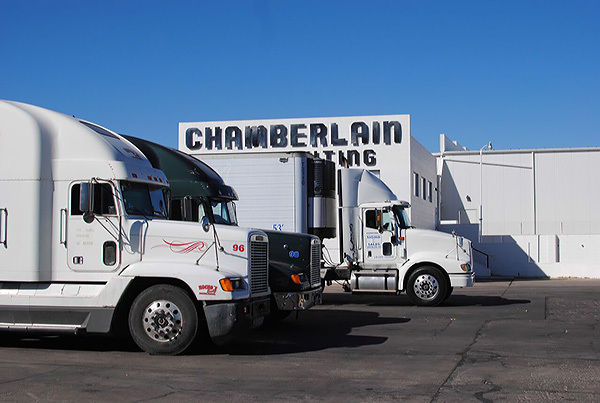 In the loading bays of J-C Distributing, a fleet of semi-trucks await loads of produce before distributing throughout North America. As a newcomer to the borderlands, I became curious about where my avocados, squash, and tomatoes came from and about what it takes to move Mexican produce on a day-to-day basis. I conducted fieldwork between August and December 2015 and interviewed 29 individuals. 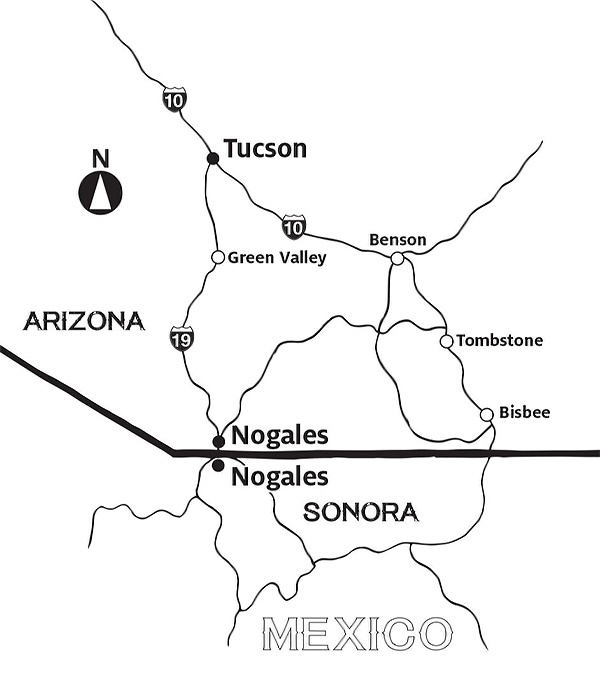 Most interviews took place in Nogales, Arizona or in nearby Rio Rico, where many historic produce operations have located for closer proximity to Interstate 19. The majority of my interviewees were male and over age 50. Several were in their eighties and nineties; a few were in their twenties. The majority of them headed their own companies or had retired from their family business. Many firms were multi-generational, and workers expressed pride in being able to continue the family lineage. While I was not able to interview as many entry-level workers or women as I would have liked, the existing study of brokers and distributors offers a glimpse into the industry. Those who work to bring produce across the border are part of a historic tradition spanning over 100 years. Whether on the floor of a warehouse, as a sales manager, or a distributor, the working traditions within this industry are multi-generational, multicultural, and often familial. Like many other occupational traditions, produce work in Nogales is considered lifeblood for both families and the community as a whole. 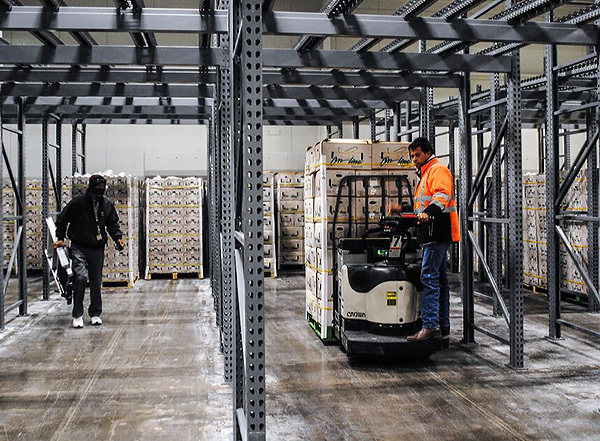 Employees of J-C Distributing remove palettes of produce from the refrigerated warehouse to be loaded onto trucks for distribution. The warehouses of J-C Distributing store palettes of vegetables until they are sold and shipped off. My work explored how produce is transported, sold, and marketed, and chronicled stories of industry workers. Occupational narratives reveal how workers make sense of their own lives and experiences as well as help preserve local history and institutional knowledge. These narratives also expose larger public concerns such as food safety and local food movements. Overall, they provide a localized and community-based response to a global understanding of where our food comes from and how it arrives to us. The produce industry in Nogales traces its historical roots to 1905, when the first rail cars of cantaloupes and tomatoes crossed the border from Mexico. Over time, the brokering, selling, and distribution of produce became an occupational tradition that now spans three generations of families representing a wide diversity of cultures. The railway in Nogales crosses Produce Row, home to many produce warehouses. Before the advent of refrigerated semi-trucks, the Nogales produce industry was dependent upon the railroads for distribution. Today, the train no longer stops at Produce Row. “My grandfather came from Greece. Instead of going to Ellis Island, they went down south toward Cuba. 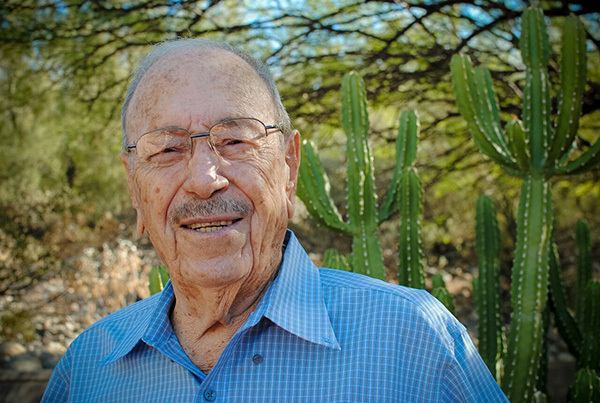 A lot of the pioneers of the produce industry here in Nogales went from Veracruz on the West Coast, and started growing in Culiacán, in Sinaloa, Mexico. And a lot of them are the immigrant families from Greece … who saw these fertile lands, and realized that there’s access to shipping.” (Gatzionis, Gatzionis and Valenzuela 2015). “A Greek by the name of Harry Georgelos had his brother go down to Culiacán and grow tomatoes. He had a sales office here in town, Nogales, and there he would sell them. But at that time, it was a lot different. Today everybody’s got a warehouse. At that time, they had just an office, no warehouse, no workers, nothing. Just an office with a salesman and a secretary. And they sold their tomatoes by telephone. If they happened to get in, say, five cars of tomatoes at a time, which was a lot at that time, they would sell maybe one or two cars, and then they had to move the other ones because tomorrow they would get some more. So what they would do, they would roll them open without sales, mainly to Kansas City, which was a staging area with ice and instructions for the road. Ice in Nogales, ice in El Paso, and so on. And then as they sold it, they would divert it. 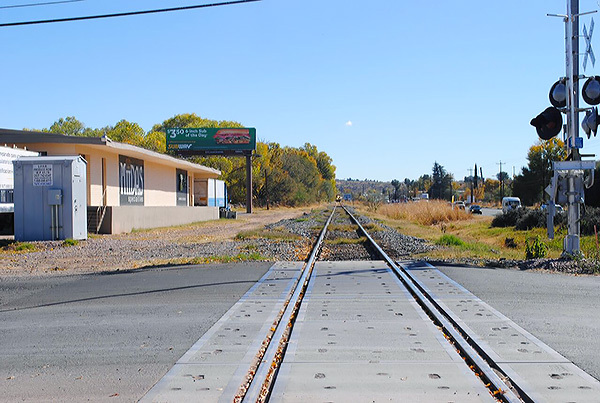 They would go to the railroad company here in Nogales, and they’d put in a diversion order to ship the car going to Kansas City, get it and ship it up to Denver, or ship it up to the Carolinas, or wherever they happened to sell it at.” (Ram, Sr. 2015). The Nogales fresh produce industry quickly became industrialized with streamlined production and distribution methods. However, much of it remained rooted in traditional forms of practice based on informal vernacular education and community-based reciprocity. This is particularly true for the industry’s financial and trade dealings. According to Robert Alvarez, Jr.’s 2005 study of trucking and the borderlands produce industry, Mexican shippers, or comerciantes, “draw on and elaborate a cultural repertory of interpersonal relationships, including that of confianza (trust) … as a means to secure relationships of loyalty with workers, other comerciantes, and even the North American buyers with whom they do business” (Alvarez, Jr. 2005:50-51). Anthropologist Carlos Velez-Ibañez defines confianza as the “willingness to engage in generalized reciprocity,” which involves a verbal agreement between many parties. “…embedded in each transaction—yet nearly impossible to capture in official reports—is another form of exchange equally and, arguably, more important than any cold cash at stake: the tenuous and fundamental sense of trust—confianza—that what is expected to happen will happen when it is supposed to happen.” (Alvarez 2012:32-33). For retired sales manager Jerry Wagner, trust was always a critical part of the industry. He “could wake up in the morning, and pick up the telephone, and by word-of-mouth, sell $4 million worth of produce and say, ‘Okay, bye,’ and hang up the phone, and never see a paper trail. It is such an honorable business in that, if people don’t trust you, you go broke” (Wagner 2015). Walter Ram Sr., 94, is a World War II veteran who was captured and held by the Germans. In 1952, Ram moved to California and began transporting pink tomatoes from Baja California to Los Angeles. Eventually he formed RGR Trucking in Nogales, AZ. His son Walter Jr. now works in the produce industry. Part of selling, distributing and promoting produce requires a willingness to not only trust others in the industry, but also accept the risks that come with the cultivation and transportation of produce. Outbreaks of foodborne illness, especially those coming from fresh produce contamination, pose a continuous challenge for the industry. Food safety affects both individual businesses and the industry as a whole. Many brokers, distributors, and others noted that food safety regulations and inspection have become more stringent over time. A food inspector from the USDA inspects a box of zucchini, checking for quantity, quality, and uniformity in size. Read the full monograph online here.